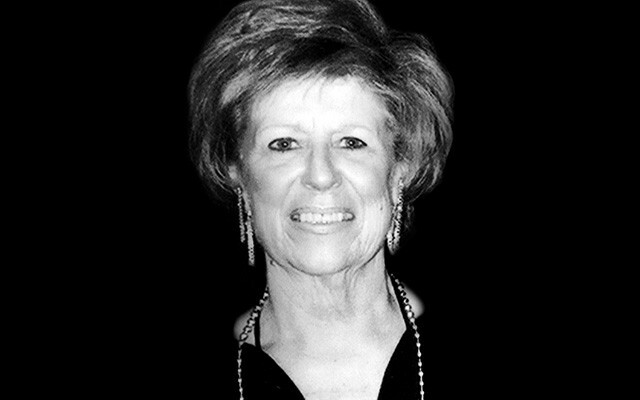 Known as “the girl with the golden ear” due to her keen ability to choose hit songs and create music programming that appealed to broad audiences, Rosalie Trombley was a true forerunner for women in radio between 1967 and 1993. Trombley’s tenure as a music director and one of the few female executives in radio at the time stretched over twenty years. Her decision to give records exposure led to the rise in popularity of countless talented artists, while also solidifying her position as one of the most powerful forces in the industry. Trombley is particularly credited for the breakthroughs of Canadian artists into the United States, including Gordon Lightfoot’s, “If You Could Read My Mind”, The Guess Who’s “These Eyes”, Paul Anka’s “You’re Having My Baby”, Bachman Turner Overdrive’s “Taking Care of Business”, and Burton Cummings’ “Stand Tall” amongst many others. Trombley began her career at the AM Top 40 powerhouse, CKLW – The BIG 8 in Windsor, Ontario as a switchboard operator, but before long her talented ear for discovering hit songs led her to become one of the most influential individuals in radio history. Although CKLW was based in Windsor, it programmed for the Detroit market and the station’s 50,000-watt signal beamed across the American Midwest. In addition to being the #1 rated station in Detroit for many years, the station routinely rated in the top five in multiple Midwest markets in Ohio, Indiana, Pennsylvania and Michigan. Having a profound understanding for the unique Windsor-Detroit market, Trombley is celebrated for playing what she believed to be ‘crossover’ hits – songs that appealed to both black and white audiences. Particularly, she persuaded Elton John to release “Bennie and The Jets” as a single, because she instinctively knew it had tremendous potential to ‘crossover’. Recording artists, both established and aspiring, visited Trombley to promote their latest single releases, and the walls of her office were lined with gold records. Among other artists she is credited with breaking onto the Top 40 CHR charts are: Bob Seger, Kiss, Alice Cooper, The O’Jays, Chicago, Earth, Wind & Fire, Parliament–Funkadelic, Queen, and Aerosmith. In addition, Bob Seger immortalized Rosalie in his 1973 song “Rosalie” from his Back in ’72 album. Notwithstanding her larger-than-life career, Trombley also raised a young family on her own and was always a strong supporter of women in the industry. Her inspirational leadership and passion for music are carried on through the Rosalie Award, an honour in her name, which recognizes innovative women in radio every year at Canadian Music Week.